The last thing that you want is to be stuck in the heat without a working air conditioner! Although it’s still February, the spring will be here before you know it, and with it, will come the heat. If you’ve been living in Las Vegas for very long, then you probably aren’t a stranger to the heat, but that doesn’t mean that you want to face it without a reliable air conditioner on your side! At Tippetts Mechanical, we are proud to say that we offer a variety of air conditioning services in Las Vegas, from maintenance to repairs to installation, and we know that the last thing that you want is to be stuck in the heat without a working air conditioner. The following is our list of signs that your air conditioner needs to be replaced. Warning Sign #1. Your energy bills are high. Did you know that heating and cooling can account for around 48 percent of your overall energy bills? Whether your air conditioner is outdated or broken, it can cause your energy bills to take a huge hit. There are many things that can increase your energy bills, but if your air conditioner is already old or broken, it might be a great place to start in lowering your bills. It’s also important to note that technology has made newer air conditioners much more efficient than their older counterparts, so even if your air conditioner is just old and working fine, you might still save energy on a monthly basis if you install a new one in your home. Warning Sign #2. Your air conditioner is over 10 years old. A typical air conditioner can last for around 15 years if you take proper care of it and maintain it as you should. However, if your air conditioner is over 10 years old and it requires expensive repairs, it would probably be a smarter financial decision to replace it now rather than to pay for a repair now and replacement in a few years. Warning Sign #3. 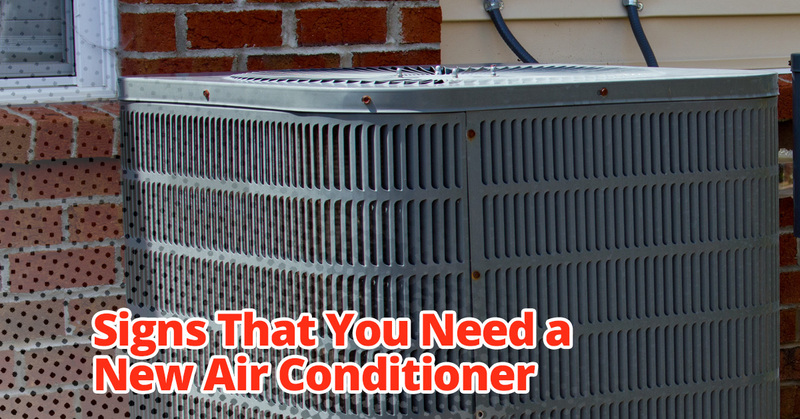 Your air conditioner breaks down frequently. Do you feel like you are always having to pay for repairs for your air conditioner? Does it feel like, when one thing gets fixed, another breaks? The need for frequent repairs is a sure sign that replacement is your best option. Although it may be more affordable to simply repair your air conditioner when it breaks, repairs aren’t always cheap, and if they are happening frequently, they can really add up. In cases like these, replacing your air conditioner instead of repairing it could actually save you money. Plus, it will keep you more comfortable! If you’ve experienced any of the above signs with your air conditioner, then replacing it might be the best option for you, and here at Tippetts Mechanical, we can help you find the right option for your needs. Please contact us today to get your air conditioner replaced before the heat arrives, and if you would like to learn about the last few warning signs that you need air conditioner replacement, please stay tuned for our next blog.